In the spirit of the past month, aka of all things David Lynch in Philadelphia, and with Halloween just around the corner, I thought it would be nice to start the month of October off with a column about Twin Peaks. For those not well versed in the genre of horror, Twin Peaks is a great jumping off point in that it’s not a horror series but it is… eerie. While the execution is distinct, Twin Peaks utilizes a well-known horror trope: the small town. American horror loves the idea of suburban sleepiness, as if our only way to reconcile apparent goodness, is by the assumption that something sordid lurks just beneath the surface. 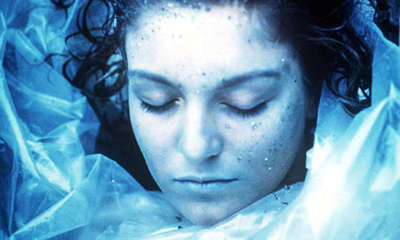 For those who haven’t seen it, in the pilot of Twin Peaks, Laura Palmer, the local homecoming queen who happens to have a hand in just about everything else, is found murdered, plummeting the quiet town of Twin Peaks into total disarray. 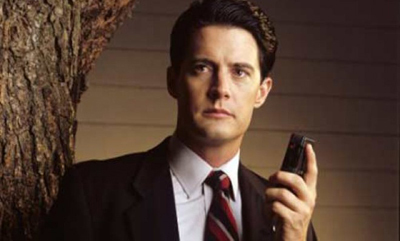 It’s as if Twin Peaks is a lullaby, calming the viewer into submission. From the soothing hums of Angelo Badalamenti’s score over the hypnotizing waterfalls in the intro, to the near soap-opera quality of the character’s goodness, the audience, as well as the town, is fooled into thinking that this utopia is real. Which is ultimately why the, for lack of a better word, “scary,” moments are so jarring and deeply unsettling. It’s just not supposed to be here. Not in Twin Peaks. If the fantasy world of Twin Peaks as utopia is seen as reality, than the ones for which we have no reference point become all the more terrifying. Like Laura’s mom, Sarah, after having heard that Laura has died, screaming practically into the metaphorical abyss. Or Laura’s dad, Leland, sobbing and dancing alone at a party. Many of these upsetting moments deal with Twin Peaks’ proclivity to highlight the visible (how everyone looks from the outside) thereby making the unseen that much darker. Season two introduces Harold Smith, an agoraphobic shut-in who Laura delivered meals to as per her “Meals on Wheels” program. If comfort is found in appearances, than the fact that Harold goes unseen, contextually, is icky. Because Twin Peaks is not a didactic show, no one ever forces the town to look upon itself and ask if this insistence on normalcy makes the strange, nearly alien. Nor does anyone say that this darkness grows out of the desire for normalcy, although this would place some blame on the social politics of the town. That’s all I’m going to say as I’m not trying to give anything away about say, The Black Lodge or the strange but awesome supernatural turn the show takes (also based in various other somewhat existing horror themes). Do yourself a favor this October and watch, or re-watch Twin Peaks. It’ll whet your appetite for all things spooky you may encounter in the month-long preparation for Halloween. If you’re the kind of person that likes smoking pot, maybe sometime you should get stoned and try to put together Laura’s schedule. Between dating at least three people, attending therapy, delivering food, working at One Eyed Jack’s, teaching Josie English, among other things, it’s just not possible. Nice try, Lynch.